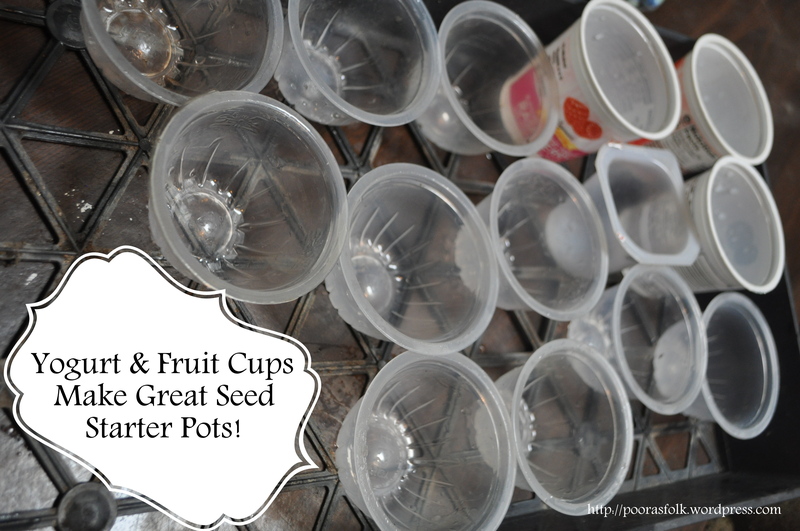 Seed Parties, as it turns out, involve lots of water, spraying of water, and staring at the seed pots impatiently waiting for the magic to happen. Time is hard for a three year old. Eventually, he gets tired of staring at dirt and goes off to play but he’ll come back later to check and make sure something exciting didn’t happen while he wasn’t standing watch. He doesn’t remember much of last year’s gardening experiences – it’s all new again this year. To me, that’s just so cool to see him experiencing things all over again, just like it’s new. There’s some things retained from last Spring. 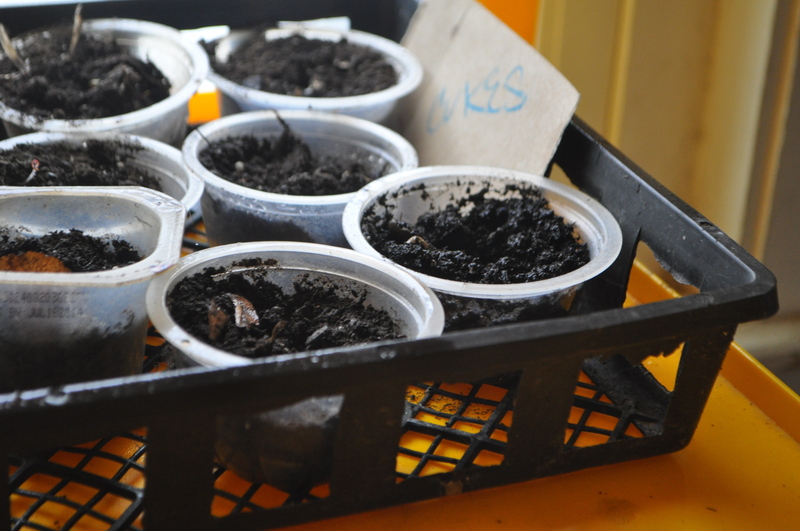 He remembers eating so many cucumbers and tomatoes off the vine ,straight from the garden but the seed starting business is fairly fuzzy in his memory. 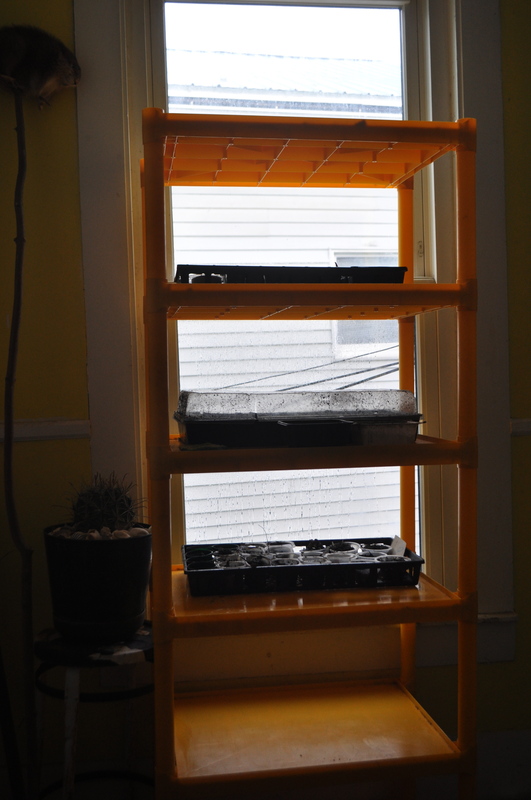 The Seed Shelf. I was standing straight. It looks crooked because the floors in our house are sloped. No kidding.